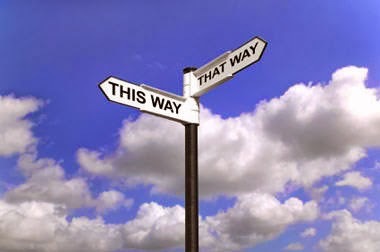 There are times in our lives when we arrive at the crossroad. It is during this time when we find it hard to decide where to go. We have several options and these options have something in store for us once we choose them. We don’t want to commit mistakes in choosing which road to take that is why we are weighing all the options to choose very well. This is important because we do not know still what lies ahead of us. When in crossroads, it is good to pause for a while and see all the possibilities in the options. You might think that your first option is already the best without considering the others that is why it is important to think twice or thrice before making a final decision. A wrong decision will change your life drastically. You also have to consider the people around you. Talk to them and discuss your issues in life. Do not be afraid or be ashamed to tell them about what you are going through – that you are in a crossroad. They will appreciate your honesty and in return you will receive free good advices from them. Listen to those who love you. You will feel confident with your decision when you are at peace with the people around you. And if anything goes wrong, you have them to turn to. It is hard to be in the crossroad alone. It is hard to decide without hearing other options. You might be in this situation right now and I advise you to think well.